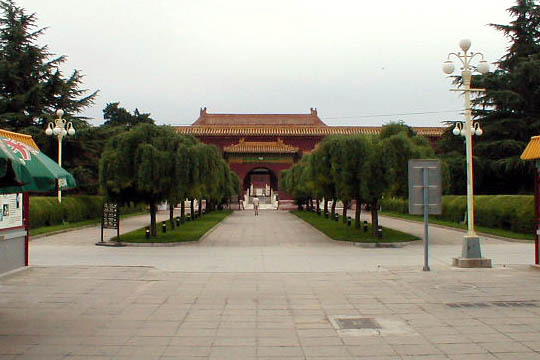 Taimiao is located just southeast of the Forbidden City (Beijing) and once served as the imperial ancestral temple of the Ming and Qing dynasties. After the Communist takeover, it was converted into the "Working Peoples' Cultural Palace," where operas and other events are held. The compound is laid out parallel to north-south axis of the Forbidden City. Its principle buildings consist of three main halls, two gates, two subsidiary shrines, and various accompanying buildings.